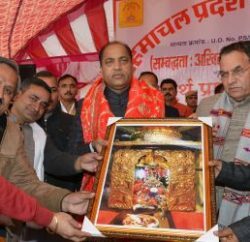 Chief Minister Prem Kumar Dhumal flagged off Environment Rally from historic Ridge Maidan. Rally was organised by the State Pollution Control Board to mark the week long celebration. While addressing the people, Chief Minister urged people to make conservation of environment a people’s movement in the State. 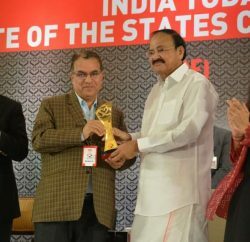 Chief Minister said that the State’s efforts in the conservation of environment had been appreciated at national level and State had been given Prime Minister Award for its sustained efforts for the same. Chief Minister administered the oath on nine point conservation code on environment. 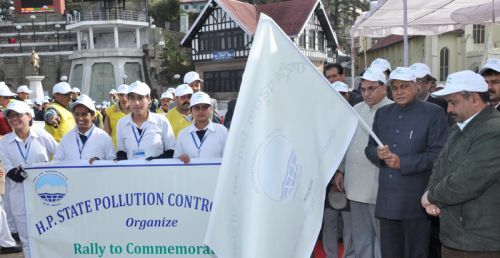 The rally went through Shimla town showcasing placards and raising slogans for preservation of environment and later converged on the Ridge Maidan. Sanjay Sood, Member Secretary, H.P. State Pollution Control Board while welcoming the Chief Minister and other dignitaries detailed about the week long programmes which were organised from 2nd to 9th December to make people aware about the pollution and environment. 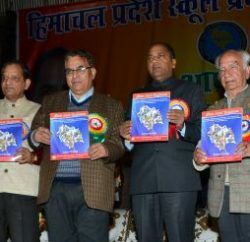 Suresh Bhardwaj, MLA, Gian Chandel, Chairman, APMC, Shimla and Kinnaur, Nageen Nanda, Secretary, Science and Technology, Onkar Sharma, Deputy Commissioner and Sonal Agnihotri, S.P., Shimla were also present on the occasion besides officers and officials of Pollution Control Board and Science, Technology and Environment Department.